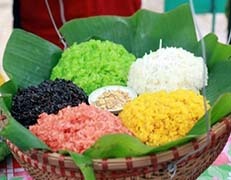 Hanoi, Van Long, Cuc Phuong, Kenh Ga, Trang An, Yen Mo, Bai Tu Long Bay, Hanoi. 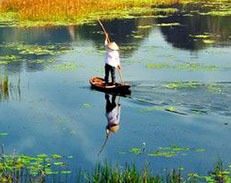 This tour is designed for those travellers who wish to experience the delights of food in the Red River Delta. 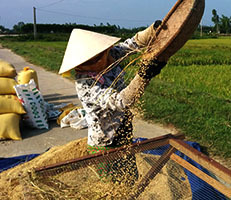 This trip makes a perfect combination of offering hands-on cooking demonstrations in home kitchens and helping collect produce from the home farm. 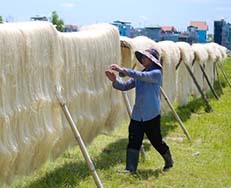 Then visiting lively markets, eating with local families, as well as the opportunity to discover Cuc Phuong National Park and losing ourselves in Bai Tu Long Bay. A magnificent combination, and we can see so much in just 6 days. 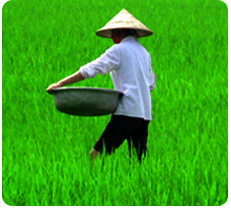 Today we explore Hanoi at a pace and in a manner that brings us closer to the people and the way they live. 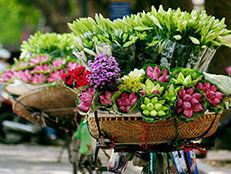 We experience the charm, complexity and intensity of the many guilded streets that interlace with human activities. 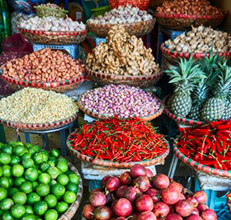 Walking around the fruit market of Long Bien offers us ample opportunities to savour some succulent fruits, such as dragon, rambutan and durian. 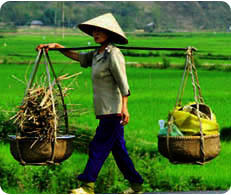 This is followed by a visit the Museum of Ethnology to relish a glimpse of Vietnam's ethnic diversity. 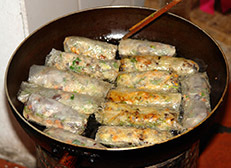 In the evening, we enjoy some of Hanoi's culinary delights, such as Cha Ca (fried fish fillets marinated in mild spices, spring onions and herbs served with home-made rice noodles, roasted peanuts and fish sauce) or we can sit down to a steaming bowl of traditional Pho (beef rice noodle soup) in a local restaurant in the Old Quarter. 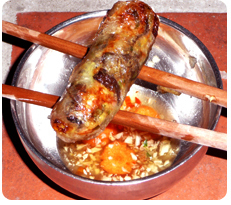 This is one of the best ways to capture the spirit of both Hanoi's landscape and its excellent food. (Breakfast, lunch and dinner are included). 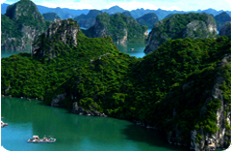 Cuc Phuong National Park is located in Ninh Binh province and covers over 200 sq kms. 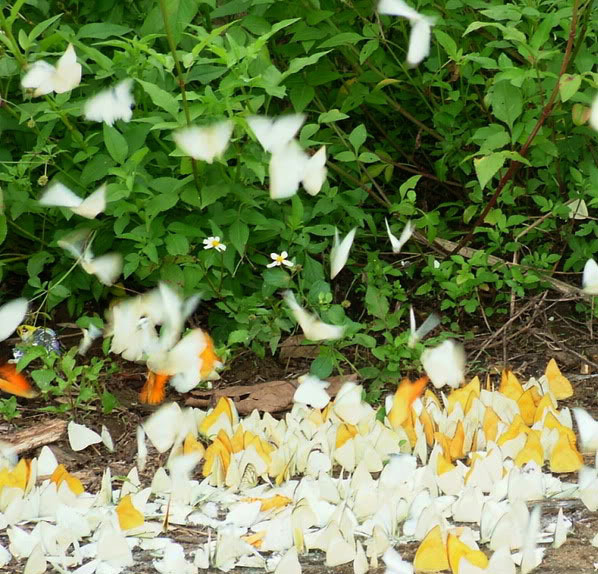 This is Vietnam's most famous park. 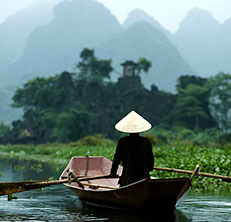 Departing from Hanoi we journey to Ninh Binh. On arrival at a village of Van Long, we enjoy a boat trip along the beautiful reserve of Van Long, an unique area known for its magnificent limestone peaks. Next, we drive to Cuc Phuong National Park. 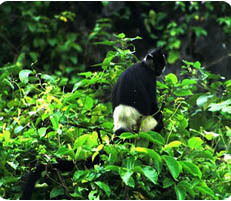 Here, we take a short hike in the rain forest, which offers some wildlife viewing. 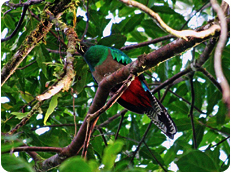 The night is spent in the park's comfortable guesthouse surrounded by spectacular mountains and rainforest. (Breakfast, lunch and dinner are included). The morning finds us in the Endangered Primate Rescue Centre, which is a wonderful experience, the 'monkeys' are so gorgeous and the success of the centre is laudable. 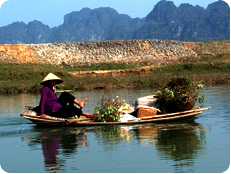 After a boat ride across the Hoang Long river, we head to Trang An, an area which is famed for its dramatic rock formations and picturesque villages, offering some opportunities for boating, cycling and mingling with the local people. 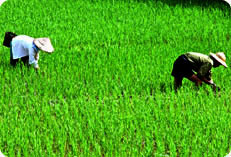 Peaceful waterways, miles and miles of vivid green rice fields stretch along the shores of the Red river's tributaries and the intimacy of the countryside. We spend the night in a local family to experience their way of life. (Breakfast, lunch and dinner are included). 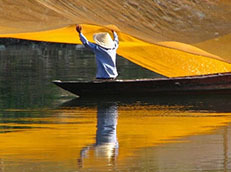 Yen Mo, a village in the Red River delta is our destination today. 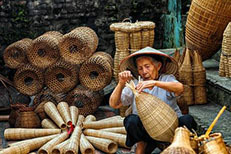 This area is home to Kinh people with their rich culture. 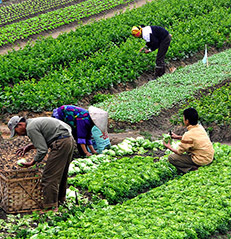 They provide us a unique opportunity to experience the pace of village life in rural Vietnam. With the pagoda of Tien and its surroundings just a short distance away from our hotel, we stroll along winding tracks, further into its beautiful villages and spectacular limestone rocks. 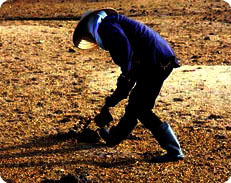 Then we journey to the village of Xom 9 in Yen Mo district. 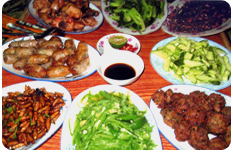 From here we settle in with a family to make authentic Vietnamese food, such as succulent Spring Rolls, fresh rice noodles and sticky rice and zesty dipping sauce with fish sauce and chilli paste, lime juice and ginger. We then enjoy the family's gracious hospitality as they share dinner with us. The food is wonderful. The night is spent in their cosy home to experience their way of life. (Breakfast, lunch and dinner are included). 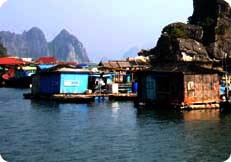 Bai Tu Long Bay of the submerged dragon, which boasts 3000 craggy and towering islets, is amongst the most picturesque places in Vietnam. 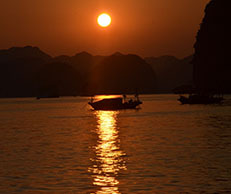 The fantastic beauty of the bay has given rise to many legends, some of them dating back to the ancient past. It is said that a dragon descended into the deep water spitting out gems as he did so. And thus the rocky islands were formed. Departing Yen Mo we drive to Halong City and then on to Cai Rong island. 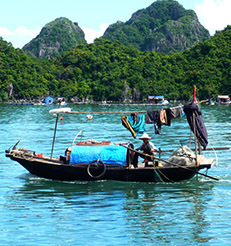 Soon after arriving in Cai Rong, we embark on a boat trip among stunning limestone peaks. It is the perfect setting for our lunch, we enjoy the freshness and flavor of steamed squid with ginger and scallion, taro balls and fish in tomato sauce. Weather permitting, there is an opportunity to swim in the clear waters. 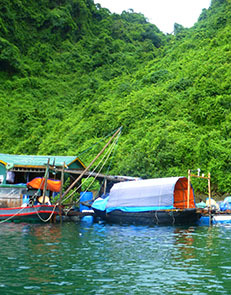 Arriving at Quan Lan Island we head to the family home and farm of Mr Sau, a retired fisherman. 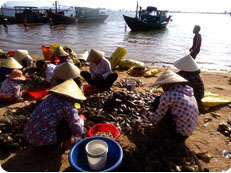 We are taught how to make excellent seafood, such as Squid, Oyster and Lobster. We stay overnight with them. (Breakfast, lunch and dinner included). 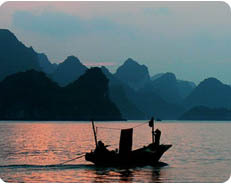 Quan Lan Island is located in Bai Tu Long Bay. 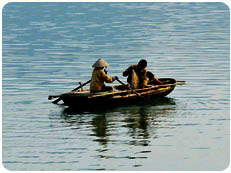 The island is blessed with stunning beaches, scenic hills, sand dunes and surroundings sprinkled with tiny villages. 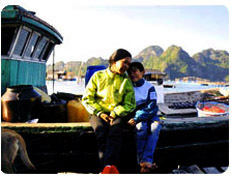 After a quiet morning strolling around the picturesque village of Quan Lan, an enjoyable bicycle ride across the island and watching the morning unfold on the island, we board our boat to explore further northern reaches of Bai Tu Long Bay - time to appreciate the sublime beauty of the bay. 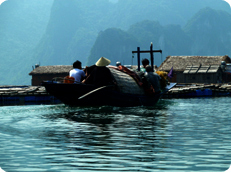 Kayaking is one of the best ways to discover a delightful floating fishing village, an example of the way of life where some families spend their life living on the sea. 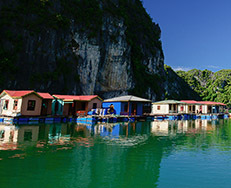 Then onto Cai Rong island, where we retire to a beautiful cave and watch the sun go down, before making a wish to have the perfect panoramas of the dramatic rock formations. 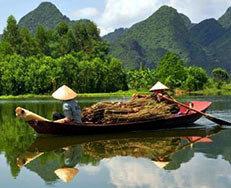 This is followed by our return journey to Hanoi, arriving there at about 6pm. (Breakfast and lunch are included). - a 6-8 km hike on Day 2. - a 10-14 km bicycle ride on Day 3. - a 3-5 km walk on Day 4. - a 2-hour bicycle ride on Day 6. - a 2-hour kayak ride on Day 6. 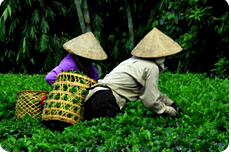 Our experienced and friendly Tour Guides speak fluent English. 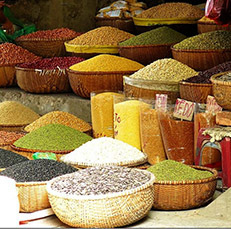 They are knowledgeable about local cultures, history and the environment. - guest house (1 night). 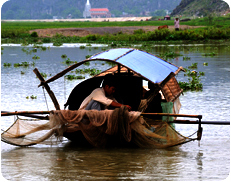 Clean and comfortable home stays with mosquito nets provided. - $398USD per person for a group of 2 to 9 people. 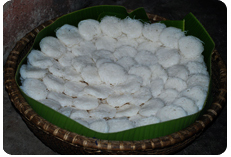 - $365USD per person for a group of 10 to 12 people. - drinks (soft drinks, alcohol and bottled water). Pack essentials including light comfortable clothes suitable for outdoor activities, comfortable hiking shoes. Take a small day pack for cycling, walking and hiking. We also recommend packing: swimsuit, insect repellent, sun cream, raincoat and sun hat.